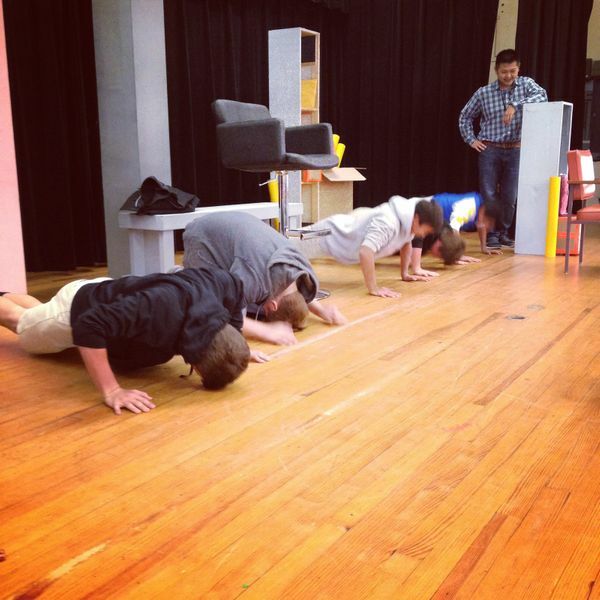 Day 60: Push-ups during lunch! These students lost a bet with Mr. Su regarding the Murchison football team and today was the day they had to do their push-ups. Mr. Su agreed to let them pass with 'only' 50, even though the original bet was for 100. Mr. Su had been on the losing end of the football team bets the majority of the year, and just like the kids, he would make good on his bet and do his push-ups during lunch.